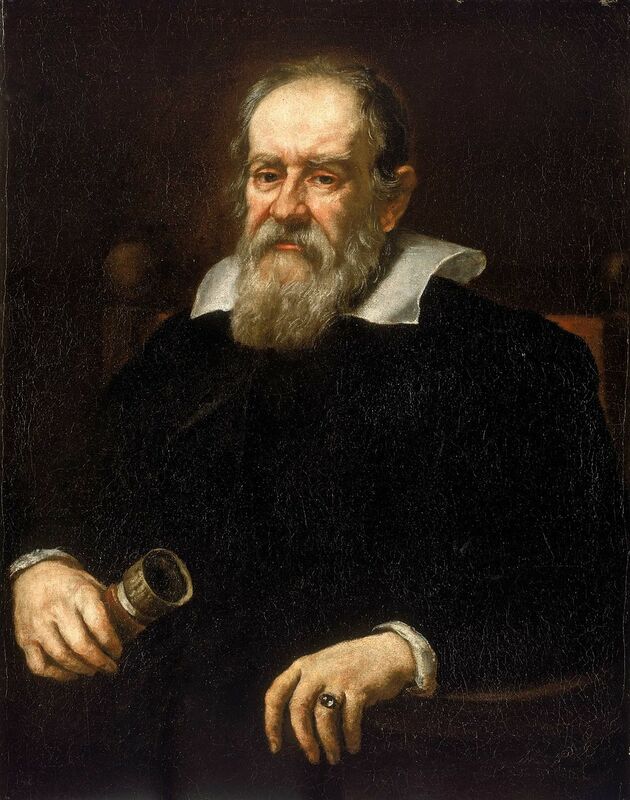 Galileo Galilei is quite a famous astronomer but many of the discoveries he’s known for are just extensions of the work of others. For instance, he didn’t come up with the idea that the Sun is the centre of the Solar System, he just got in big trouble for it. He also didn’t invent the telescope (even though he is often credited). He was just one of the first people to point it up at night to look at stars instead of over the sea at enemy ships. One thing he did do, all by himself, was observe that Jupiter had some friends that followed it around the sky. In about 1610, Galileo discovered the four largest moons of Jupiter: Io, Europa, Callisto, and Ganymede. While these celestial objects are all interesting in their own right, today I’m going to focus on Europa because it is one of the most credible candidates for extraterrestrial life. While the logic there might be a bit suspect (Earth and Europa are very different systems and the rules for one don’t necessarily apply for the other), I think the infographic gives a pretty nice introduction to Europa and helps to underline that for astrobiologists, the search for life in the Universe is almost synonymous with the search for water. And Europa certainly has a lot of water. Unfortunately, the H2O is mostly trapped under kilometres-thick sheets of ice. This has posed a serious problem for scientists because in order to sample to subsurface ocean and find out if there is indeed life on that cold, watery world, a mission would need to drill through an unknown distance of ice (but certainly on the order of kilometres) and maintain contact with Earth. 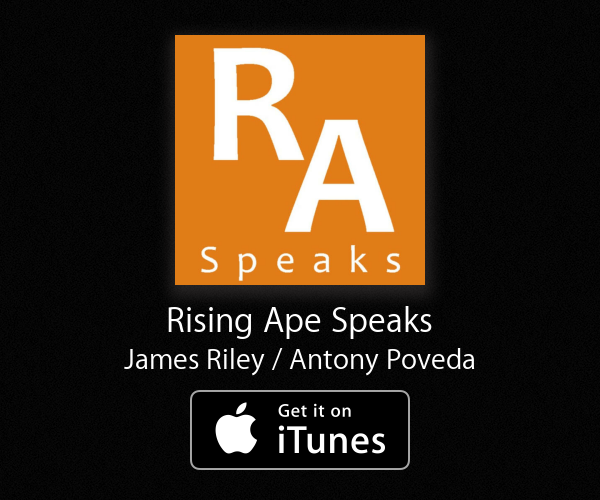 Even with all of the resources available to us here on Earth, the deepest we’ve been able to go is about 12km. The technical challenges of remotely drilling through such a thick ice sheet have kept many Europa mission concepts off the table. 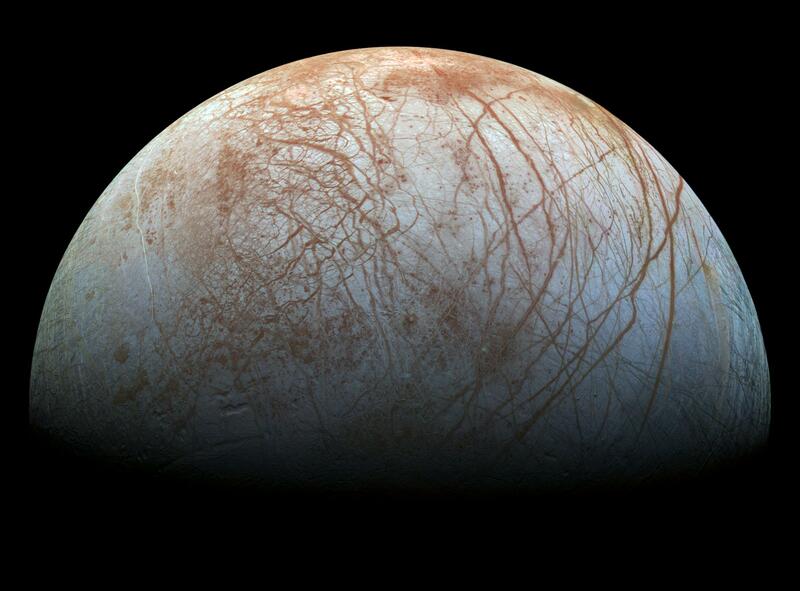 A recent discovery, however, has made a productive mission to Europa much more feasible. 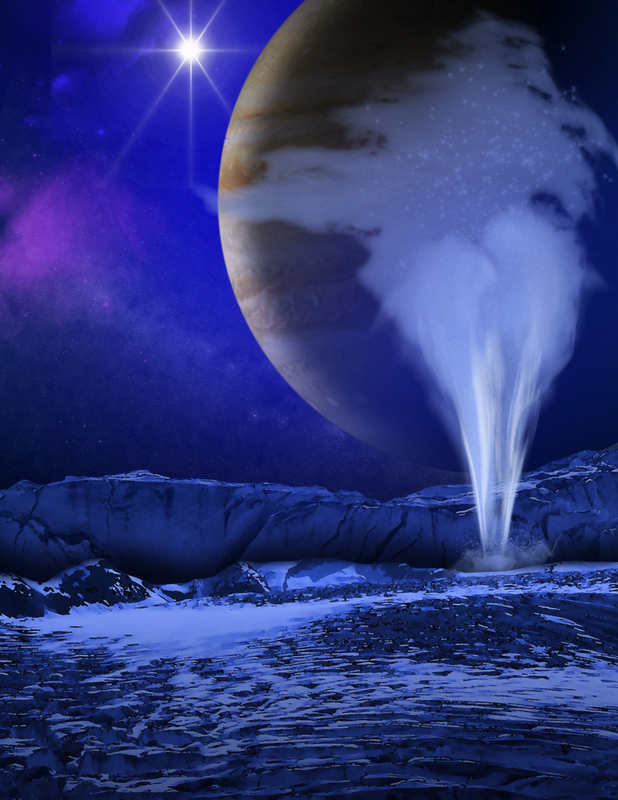 It turns out that Europa sporadically ejects plumes of water vapour. Unlike its cousins Io (another moon of Jupiter) and Enceladus (a moon of Saturn), Europa’s plumes are much less frequent, smaller, and harder to predict. We know that the polar regions have the weakest ice but for some reason plumes just don’t occur very often. They are also hard to catch on film because Europa’s relatively strong gravity means the water can’t go very high and it comes back down pretty quickly. It took the Hubble Space telescope a few tries before it finally caught the sneaky tooter in action in 2013. It’s kind of like Old Faithful, but much older and less faithful. So more like Ancient Temperamental. While nowhere near the scale of the plumes of Enceladus, Europa’s plumes are still upwards of 200 km high. This means that in order to sample its water, all we need to do is fly through and sniff. That’s what Europa Clipper, a current mission concept, aims to do. For anybody wondering, there are also plenty of people who want to fly through the plumes of Enceladus as well. Buzz about Europa has definitely grown a lot since it was just a dot in the telescope that Galileo pointed up (but didn’t invent). Actually, last week the White House announced $30 million in funding for developing a mission to Europa and next week NASA is hosting a workshop about Europa’s plumes.